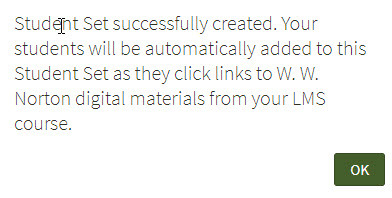 Use the following instructions to setup the Norton digital content links being used in your course. IMPORTANT: In order to students to access the Norton digital content instructors MUST first complete these steps successfully. If you do not have a Norton instructor account using our cccs.edu email account, submit a ProfHelp ticket ASAP requesting one. 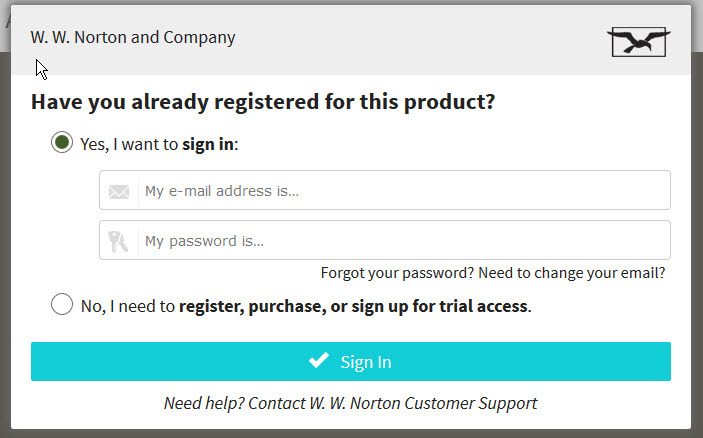 You will not be able to complete these setup instructions with out a Norton instructor account that we request from the vendor for you. DO NOT try to create a new account yourself, it won't work. Click OK from the Confirmation window that you student set has been created. Posted by: Amy Sorensen - Thu, Jul 27, 2017 at 12:46 PM. This article has been viewed 1707 times.